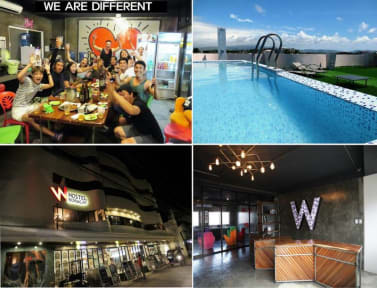 W Hostel Boracay v Boracay Island, Filipíny: Zarezervujte nyní! We have free Wi-Fi access in each rooms, we have what we called the media room where you can watch tv, play some arcade games, do the breakfast. It is open to all the guests. 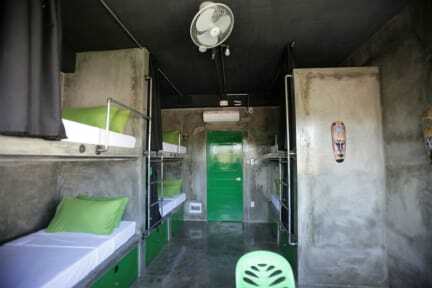 Our dormitory rooms have private and shared bathroom. We do offer some activities here in the island and where the one will made the reservations to the respective company as well. We guaranteed the best and good service that we can offer to our guests. We have 24/7 receptionist on-duty as well as housekeeping and maintenance. 1. We only accept cash only. 2. At least 3 days advance notice for free cancellation. 3. Check In time: 14:00 Check Out time: 12:00 noon. 4. We accept early Check in provided that they agree to pay 50% of their room rate. Late check out has extra charge of 50% of their room rate. 5. Minimum age limit of guest is 15 years old. 6. Bookings made thru online travel agencies are non-refundable. we impose additional charges when it comes to stain and lost key. 7. We're not responsible on any other valuables left by the guests in the rooms.